We’re headlining an evening of music on the Saturday night of Grantham Steam and Country Show this coming weekend. The festival runs from Friday through to Sunday, with entertainment for all the family – full size steam, miniature steam, heavy horses. 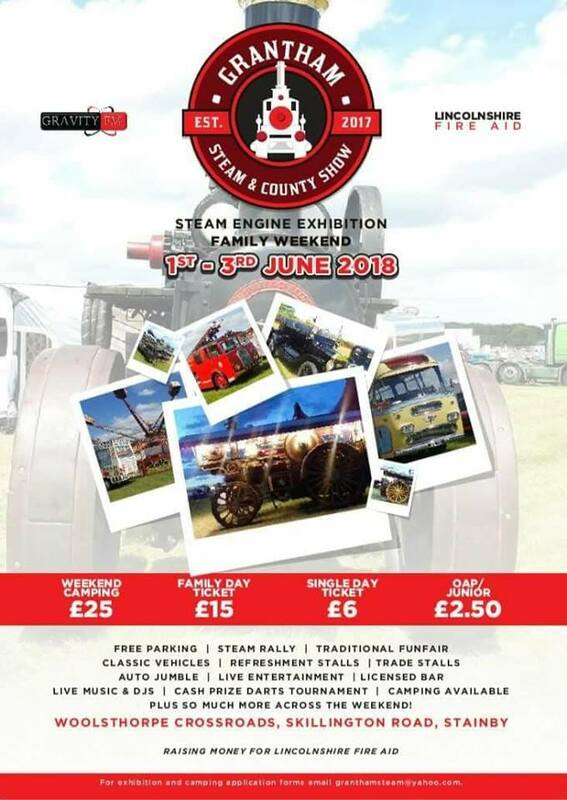 vintage lorries, vintage cars, stationery engines, military vehicles, vintage buses, a vintage fairground, all types of food and a fully licensed bar. Day admission is £6, OAP/Child £2.50, family pass £15, but you can get in after 6pm for free, all proceeds in aid of Lincolnshire Fire Aid. It promises to be a great day (and weekend!) out, and so far the weather promises to be kind, too! Bands on (subject to confirmation) are Waiting For Jack, The Crying Violets, Under The Covers and us – music starts at 6pm Saturday, and we’re on from 9.30pm. Listen out for some new songs, too, if you’ve seen us before! We’ve been having a fantastic time working up some new stuff both for this gig and the Huntingdon gig in two weeks time.